The simple, yet wonderful concept behind B’n’Tree: You book a bed, we plant a tree. As simple as that. Read on below or make a booking now. Best part? 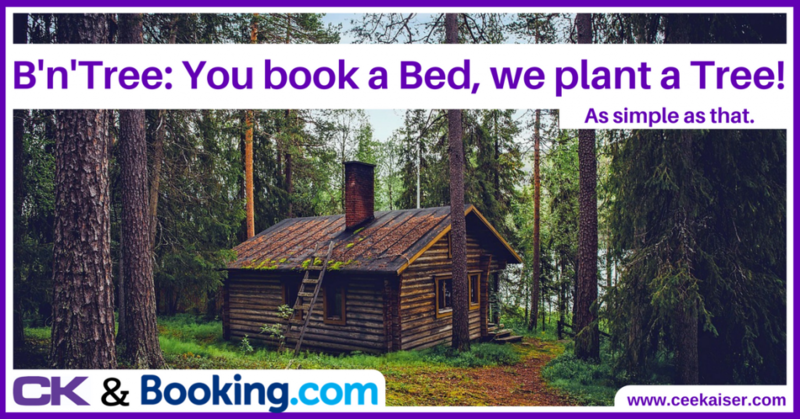 You don’t have to pay anything for us planting the tree, and can still use the world’s largest hotel booking site. And your bed doesn’t cost a single Cent extra either. 3 More Beds, More Trees. Sharing Is Caring. 5 Why Trees In Southern Thailand? When you book your beds with the below link, booking.com pays us a commission of between 3% – 5% on the net booking value. We invest this commission into a tree planting project in Southern Thailand. The good news is: This commission is already calculated for in the marketing budget of booking.com. Your accommodation won’t get a single Cent more expensive by booking via this link! If you don’t use this link, booking.com keeps those percent for themselves, or someone else earns them in case you used their affiliate link… but they won’t plant any trees with it. The actual costs per tree vary, and do not just cover the initial seedling, but also ‘maintenance costs’ e.g. in the form of food and support for the local rangers to protect the trees from illegal logging. Sometimes your hotel booking may even plant 2 or 3 trees… but as we want to be conservative, we rather calculate one tree per booking for now. I’m sure you won’t complain if we plant more trees. Since initiating this tree-planting project in mid-2017, we have planted over 8,500 trees already! What a fantastic beginning! On the other hand, it also is just that: a beginning. We trust in you to make it an ongoing success story. More Beds, More Trees. Sharing Is Caring. Please help to make this project a true tree success and save this site in your bookmarks to always book beds via the given link. Also, please motivate your friends and family and especially all your work colleagues to use this link for future bookings – every single booking counts. In this case sharing is indeed caring – for the planet. Talking about sharing: After staying at your booked bed, why not share a couple of tips on Green Best Practices For Hotels with them? B’n’Tree is an initiative we launched after wondering why there are search engines which plant trees, but no hotel booking platforms that care about the planet. The hotel booking platforms I know don’t even bother to offset the CO2 emissions generated by their servers – which is a massive shame, considering how much money they make. Hence the idea of B’n’Tree was born. And turned into reality. So here it is: The bed-booking interface that plants trees while you sleep. Why Trees In Southern Thailand? Thailand is home to some of the world’s oldest rain forest. Unaffected by most ice ages some forests have developed since over 160 million years. But the forest areas are dwindling. At the beginning of the 20th century, roughly 80% of Thailand were covered with forest. Today, about 15% remain – and those 15% already include farm land! Thailand is home to (partly critically) endangered animal species such as Malayan Sun Bears (Helarctos Malayanus), Indochinese Tigers (Panthera Tigris Tigris), Asian Tapirs (Apirus Indicus) as well as keystone species such as the endangered Asian Elephant (Elephas Maximus). The habitat of all these animals is decreasing at an alarming rate, increasing the human-animal-conflict – which the animals usually lose. To offer any chance of survival, we need to act now, and start increasing forest areas and hence animal habitats again. 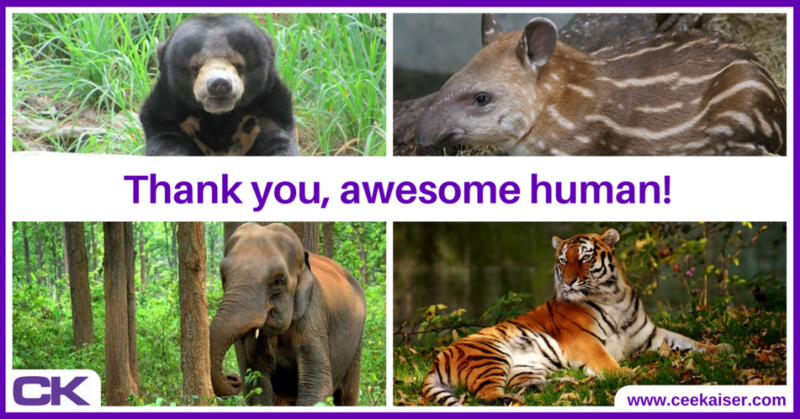 Help support the habitats of these wonderful creatures! It doesn’t cost you any effort nor money to do so. As the project has just started, we don’t want to promise an entire new rain forest by the end of the month. However, we’ll happily keep you in the loop on the progress by updating this article and via my newsletter ‘Thursday Thoughts’ – sign up today. It’s cool and very informative. Please do get in touch for comments and ideas how to further spread the word and improve the project. All input is welcome! Send us an email, drop a comment below or join our Facebook discussion. It’s the best way to exchange your ideas with like-minded people. 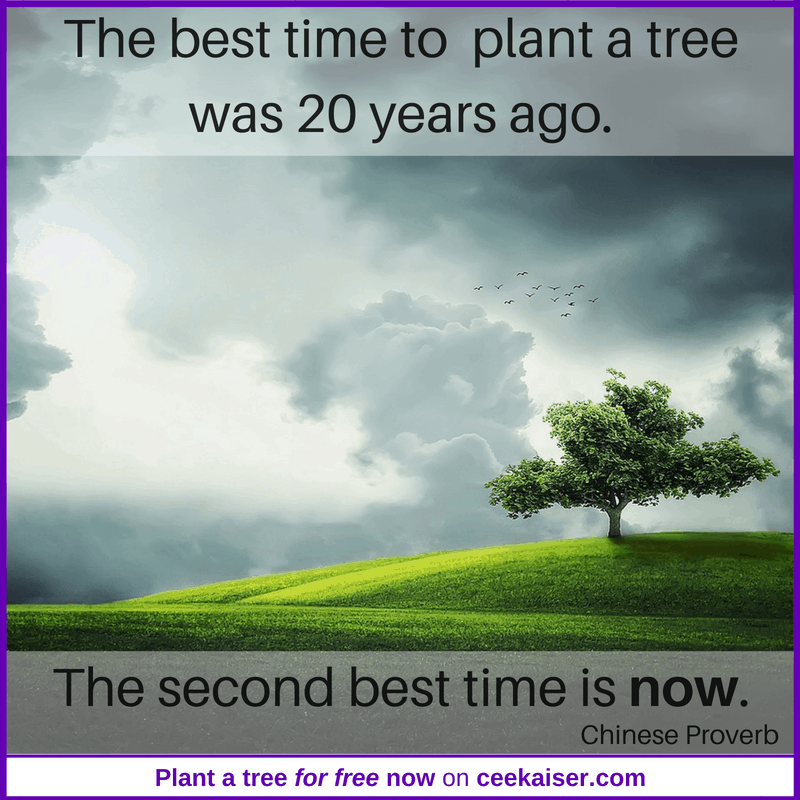 BOOK A BED AND PLANT A TREE TODAY! Very interesting concept. I guess you could do something more about “B`n tree” than what is already done. What about a niche website that only lists eco-friendly cabins and apartments? Somewhere you can book a place in order to live close to nature? I have a website about sustainability myself (as you can see in my signature). Let me know if you want to collaborate somehow. Went through your projects and they seem interesting. Thank you very much for your comment and the interesting suggestions. I fully agree that there is a lot more potential to this project. We recently launched its own website on http://www.bedandtree.com, and the results have been phenomenal. I’ll get in touch with you to discuss the possibility of a collaboration. Do you partner with direct hotel websites? Dear Helene, Thank you very much for your interest in B’n’Tree, we really appreciate everyone keen to make this planet a greener place. Currently, we don’t work with individual hotels. However, as we are growing, we will try to develop concepts how to include everyone who’s keen to support global reforestation. If you like, please get in touch via chris@bedandtree.com, so we can discuss ideas how to make this a mutually beneficial cooperation.